Today, Apple seeded the first build of Mac OS 10.7, build 11A390. 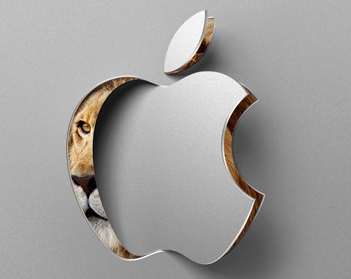 As many are aware, Mac OS 10.7 Lion is the next anticipated Mac operating system due summer 2011. For those developing on a Mac, whether you are developing for Mac or iPhone, OS 10.7 is to deliver many new features to the Mac platform while also very closely unifying both iOS and Mac OS X. – If after enabling Disk Encryption you are rebooted back into Lion, and the Disk Encryption tab of the Security & Privacy System Preferences pane does not report that your disk is in the process of encrypting, please try re-enabling disk encryption. – The Services menu may not be fully functional in applications utilizing Application Sandboxing, such as TextEdit and Preview. – Application Sandboxing does not currently track renames while a document is open. If one opens a file in an application utilizing Application Sandboxing and renames the file in Finder while it is open, further attempts to save the file from the application will then fail until it is restarted. – Network migrations are only supported from Mac OS X v10.6.6 with the Migration Assistant compatibility update installed. – iPhoto pictures cannot be viewed in Full Screen on MacBooks with discrete video hardware. – VoiceOver will not play a welcome message during initial user setup. VoiceOver works correctly otherwise, once enabled through System Preferences or by hittingâ€š command-F5. – If AirDrop does not appear to be working correctly, option-click the AirPort menubar item and ensure that the channel listed is not on the 5 GHz band with a channel between 52-64 or 100-140. Disabling and enabling Wi-Fi may resolve this issue. – The Recovery partition may not be created when installing Lion on a drive with an unsupported partition scheme. – In the open and save dialogs of Preview and TextEdit, the controls that allow you to specify formats, encodings, and other options may not be visible if the Dock is positioned on the right or left edges of the screen. If you encounter this issue, you can get around it by dismissing the panel, moving the Dock to the bottom of the screen, and bringing up the panel again. – Multitouch trackpads that only support two-finger gestures will not have an option to reverse the scrolling direction in the Trackpad System Preferences pane. – If your computer is unable to connect to your ethernet network, check to see that the Ethernet interface is listed on the left side of the Network System Preferences pane. If not, click the “+” button and add the Ethernet interface. – If you are enabling MobileMe synchronization for the first time after installing Lion, go to the MobileMe System Preferences pane, select the Sync tab, and enable “Synchronize with MobileMe”. Next, deselect all synchronization options from Bookmarks to Preferences. Finally, reboot your machine and go back to the MobileMe System Preferences pane to re-enable all desired synchronization options. – iTunes gift cards and other redemption codes cannot be redeemed in the Mac App Store. – Saving a PDF being previewed in Safari is not currently supported. Instead, ctrl-click the link to the PDF and select “Save Linked File”. – Lion Server must be installed on an empty disk. 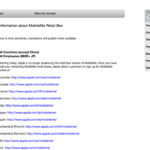 – Lion Server is included with Mac OS X Lion Developer Preview. In order to install Lion Server, you will need to click the Customize button and select Server during the initial install process. – During installation, Lion Server may not be selected as a default install package on server hardware. You must select customize an manually choose to install Server. – Safari is currently the only supported browser for use with Wiki Server or Profile Manager. – Profile Manager does not currently allow for profiles, including the profile containing the MDM payload, to be locked. – All users must have an email address when using shared calendars with iCal Server. – New sharepoints will not inherit group permissions. You must manually change the permissions. – Remote administration is not supported in this release. – Installing the Server Admin Tools package on non-Lion Server systems is not supported. Apple sent out the 10.7 seed invitations earlier this week. At this time, it is unknown how long this build period will last, but since 10.7 is due summer 2011, the build period could last a few months. Mac OS X 10.7 Lion will mark the seventh main release to the OS X Apple operating system.